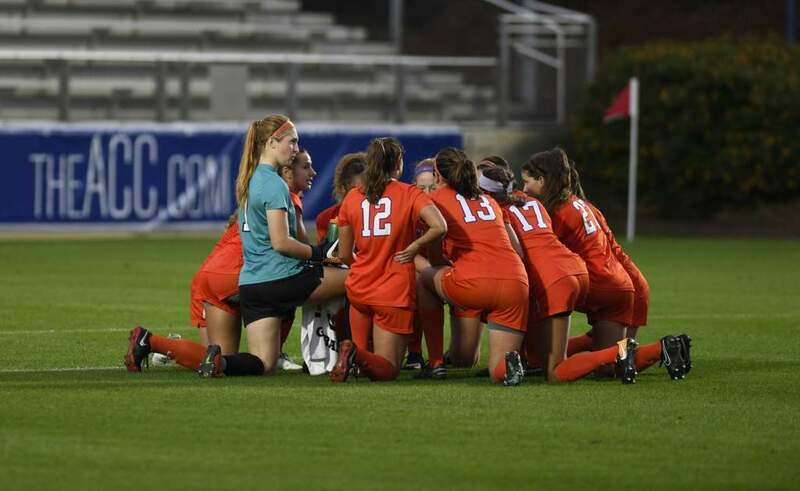 CHARLESTON, S.C. – The Clemson women’s soccer team defeated College of Charleston by a score of 2-0 on Sunday afternoon at the Patriots Point Sports Complex. With the win the Tigers improve to 1-0 on the season while the Cougars fall to 0-1. 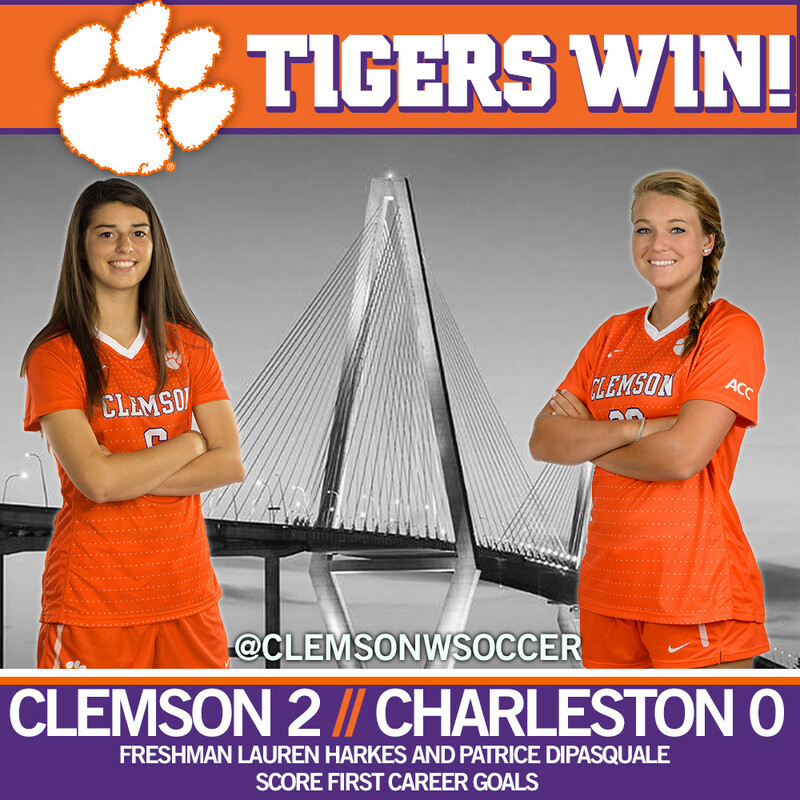 Two Clemson freshmen, Patrice DiPasquale and Lauren Harkes, scored their first career collegiate goals in the victory. Clemson controlled the game offensively from the opening kickoff, outshooting College of Charleston 17-4 during the contest. Freshman forward Patrice DiPasquale broke the ice for the Tigers in the 34th minute with a goal that was assisted by sophomore Jeni Erickson. It was the first career goal for DiPasquale and the first career assist for Erickson. The play was the result of a College of Charleston corner kick that turned into a fast break for the Tigers. 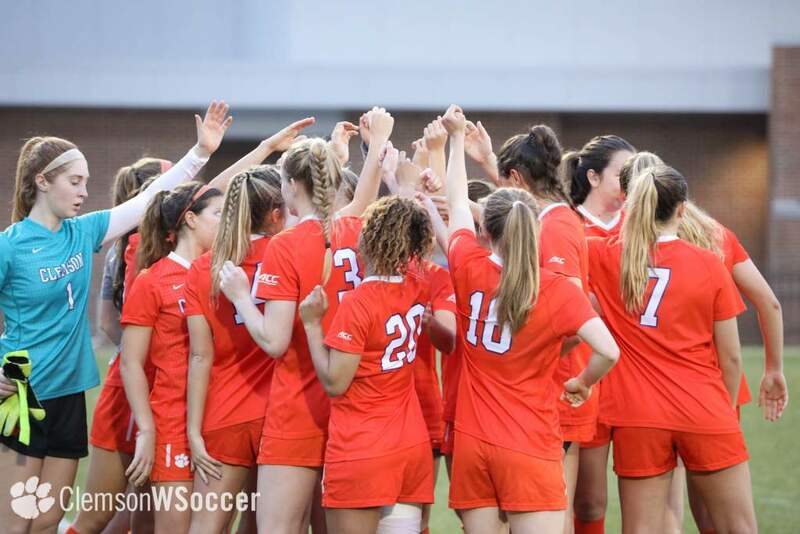 Rookie midfielder Lauren Harkes added some insurance for the Tigers in the 60th minute in the second half with a ball crossed into the box by junior defender Emily Byorth that failed to be cleared by the Cougars. It was also the first career collegiate goal for Harkes. 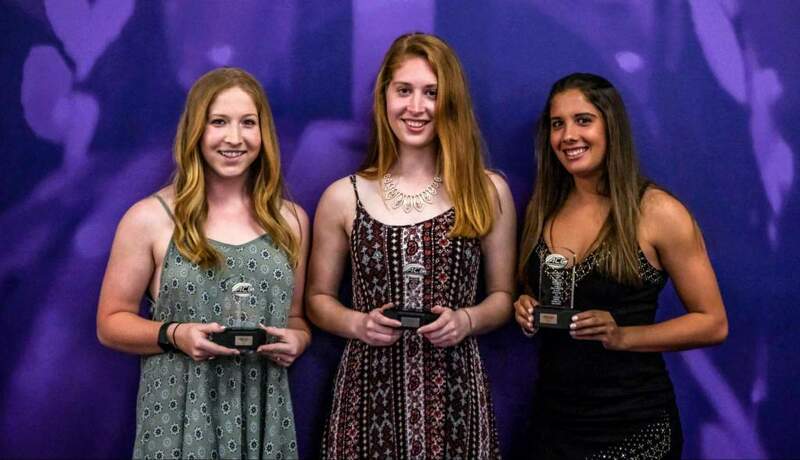 Emily Byorth, Erickson, Harkes and DiPasquale were all named to the Charleston Nike Classic All-Tournament Team. 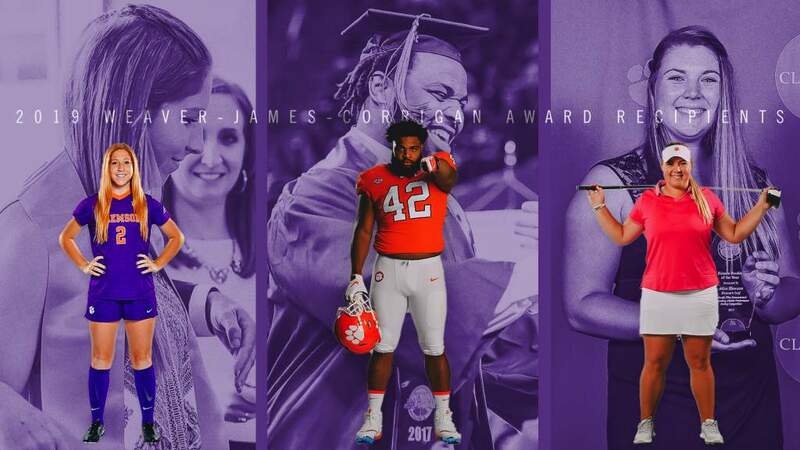 The Tigers return to Clemson, S.C. to face South Carolina on Friday, Aug. 28 at 5 p.m. at Historic Riggs Field before hosting UNC Wilmington on Sunday, Aug. 30. As always, admission is free to regular season home games.